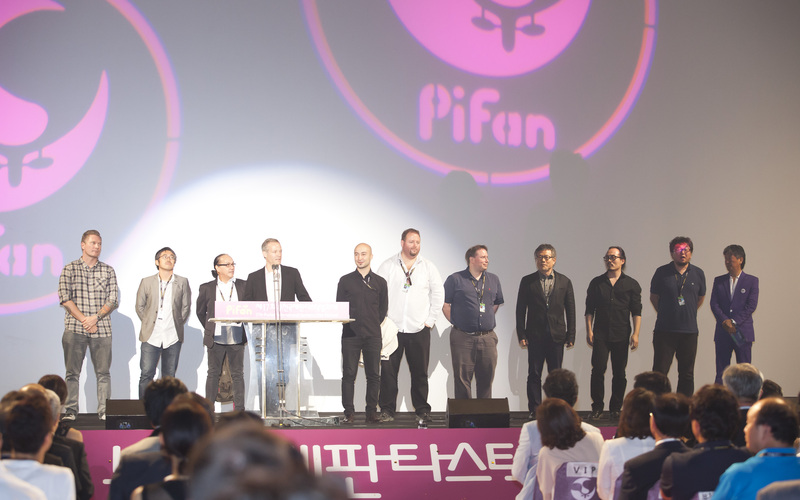 After weeks of clouds and rain, the sun broke through just in time for the opening ceremony of the 17th Puchon International Fantastic Film Festival (PiFan), which was held last night, July 18th. PiFan will run for ten days until July 28th. 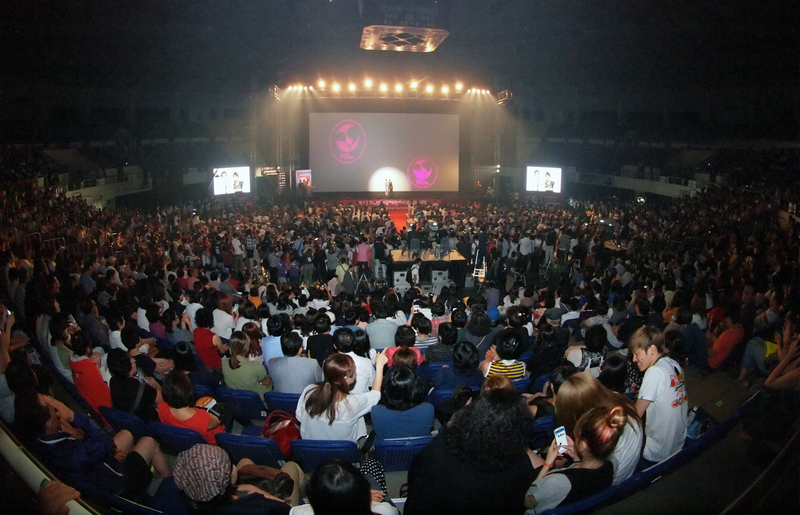 Actors SHIN Hyun-joon and Soo-young acted as hosts for the evening as they introduced a number of people to the stage. KIM Man-su, the head of PiFan’s organizing committee and Bucheon City’s mayor, took to the stage and welcomed everyone to the festival on behalf of Bucheon’s 900,000 citizens. Next up was festival director KIM Young-bin. This year’s PiFan ambassadors LEE Hyun-woo (Secretly Greatly) and Mina FUJII were also introduced. Subsequently, a number of awards were given out on stage. Actor MA Dong-seok (Nameless Gangster, Neighbors) was given the IT Star Award. KIM Soo-hyun earned the men’s Fantasia Award, decided by a street vote from Bucheon citizens. The young Secretly Greatly star was not available to attend the ceremony as he is overseas promoting his new film so Keyeast CEO SHIN Pil-sung accepted the prize on his behalf. Meanwhile, the women’s Fantasia Award went to Miracle in Cell No. 7 star PARK Shin-hye. The Producer’s Choice Award, sponsored by the Korean Film Producer’s Association (KFPA) and the Producer’s Guild of Korea (PGA), were this year given to Masquerade star LEE Byung-hun and The Berlin File’s JEON Ji-hyun. Both were on hand to accept their prizes which they received for their combination of acting skill and commercial appeal. The opening ceremony was followed by a screening of Ari Folman's (Waltz With Bashir, 2008) The Congress, fresh from its Cannes Film Festival premiere. Producer Eitan Mansuri introduced the mixed live action and animation film. An opening reception was held nearby later in the evening.